Although I’m well known as a beading author, jewellery designer and Authorised Swarovski Instructor, I come from a very creative family and learned all sorts of crafts as I was growing up. I trained to teach dressmaking in Edinburgh then studied embroidery and textiles at Goldsmith’s in London and those skills got me started in my career as an author of craft books. Since beginning this crafting career over 20 years ago, I have written around 30 books on all sorts of subjects including papercraft, metal and wirework, embroidery, soft furnishing, sewing, patchwork and quilting. Inevitably as beading became popular in the early 2000s I wrote my first beading book, a bestseller ‘Simple Glass Beading’. Although primarily a home style book I designed one or two jewellery pieces and have never looked back! 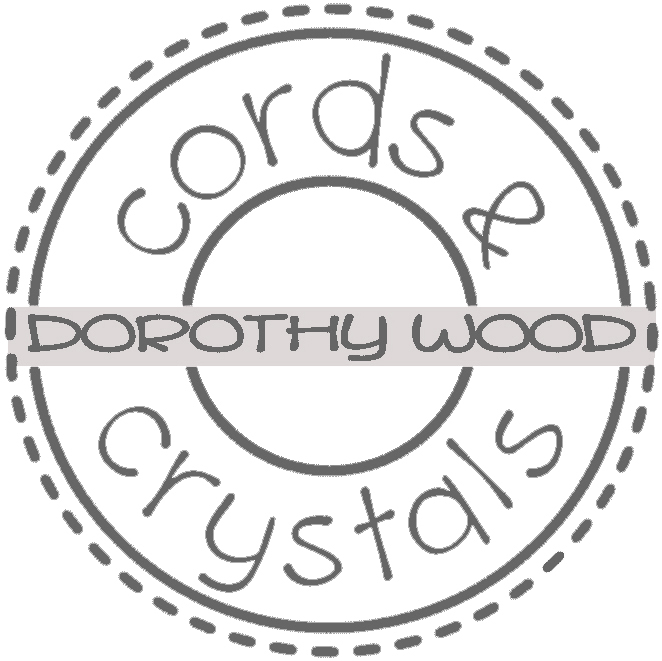 Check out the bibliography for more details on my books; including the Beader’s Bible, Bead Jewellery Bible and the Knotting and Braiding Bible. My love of textiles has continued throughout my career and I just can’t resist incorporating fabric and cords into my jewellery designs using the knitting, crocheting and knotting skills that I learnt at college and when growing up. I have recently launched a jewellery collection on my ETSY shop and continue to add kits and patterns when time allows. I teach beading classes and 1-2-1 at home and am available to teach small groups elsewhere. The list of current classes is on the workshop page and if you’d like me to come to you, please contact me for more details. Kumihimo wire brooch workshop in Darlington. I lived in England for many years but now live back in Fife, where I grew up. It’s a beautiful part of the country and, as we live near the coast, are able to spend plenty of time walking on the coastal paths and beaches with Molly our Weimaraner.